Maybe the title of this post should be “Trying Not to Freak Out About My Fourth Full Marathon” or “Counting Down the Days Until I Hit the Starting Line and Ask, ‘Why Am I Doing This Again? '” It’s August 1 and there are 23 days until the Santa Rosa Marathon. I feel ready and freaked out at the same time. I call it a healthy respect for the full marathon distance. I have trained hard, but I know that it takes more than training to have the kind of race I hope to have. It takes good weather on race day, proper fueling, mental fortitude, a willingness to suffer, and a fair amount of luck. Yes I really do wear a monster size 11. I am just grateful for the proper fit that keeps me (for the most part) from getting blisters and black toenails. 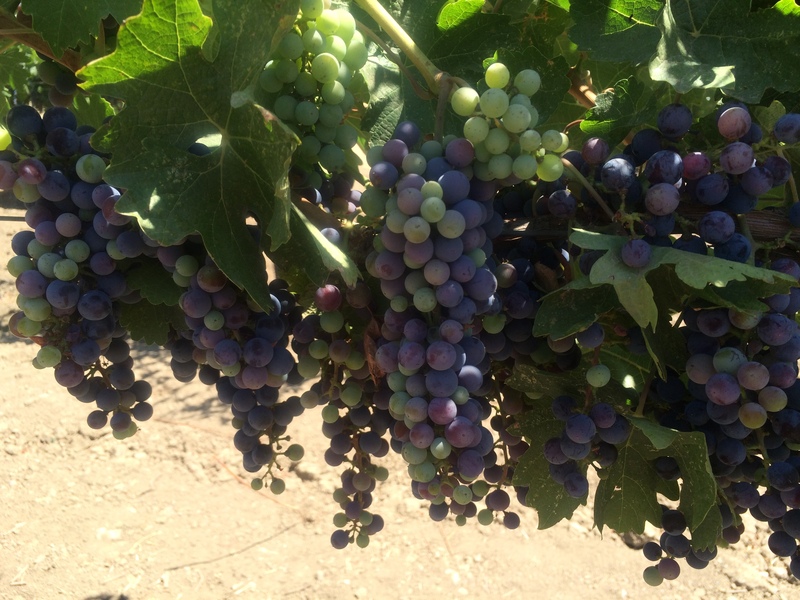 Cabernet grapes undergoing veraison at Frog’s Leap Winery in Napa Valley. 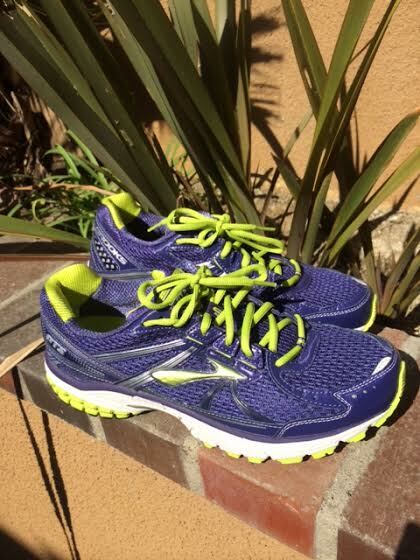 I took my new shoes out for an eight mile run this morning. During that time I thought about the Santa Rosa Marathon and whether or not I feel ready. I have faithfully checked off every workout on my training plan, but I am left wondering how that training will pan out on race day. This time around I went with the intermediate marathon training plan from Smart Marathon Training: Run Your Best Without Running Yourself Ragged . Like the Runner’s World Run Less, Run Faster: Become a Faster, Stronger Runner with the Revolutionary 3-Run-a-Week Training Program plan, it calls for three runs per week and two cross-training sessions, but this plan specifically prescribes that the cross-training sessions each be 20-25 miles on the bike, and it replaces some of the long runs with 50-60 mile bike rides. That means that for July, I ran 112 miles, and put nearly three times that many miles on the bike — 323 miles. If you look at training time alone, I spent more time biking than running (18.3 hours versus 17.8 hours)! I also stuck to the suggested strength training sessions twice a week, mainly following the workouts in Quick Strength for Runners: 8 Weeks to a Better Runner’s Body (my quick review: great for beginners but also easy to ramp up for more advanced athletes). So, where does that leave me? I feel stronger than I have during past marathon training sessions. That shouldn’t come as a surprise, given that I’m putting in an average of 8-10 hours of training per week compared to an average of 7 hours per week for my last round of training. Thankfully, I feel less tired and worn out. Even though I’ve been putting in the same number of running miles per week (average of 27 per week for the last five weeks), I have run fewer 20-milers and really enjoyed substituting the long bike rides. If anything I’m a little worried that the training on the bike will not pay off on my feet. I need to have faith that the plan strikes the right balance of running, cardio on the bike, and strength training. What if any training plan(s) do you follow? Do you have any fitness-related books that you recommend?